As “It’s Showtime” hosts pull out all stops once more to entertain the “madlang people” with their amazing and unforgettable performances in another edition of the “Magpasikat” segment this October, iWant TV brings another exclusive—the best “It’s Showtime” performances through the years. Enjoy watching them anytime, anywhere. Vhong Navarro was literally a “one-man show” as he performed a powerful dance routine and mirror illusion act built around the themes of isolation and loneliness. Vhong performed synchronized dance moves with Hashtags and GirlTrends dressed up to look like him with the help of prosthetics, to mimic a mirror’s reflection. Their poignant performance earned them the Magpasikat 2017 champion title. Anne Curtis, Amy Perez and Joey Marquez’s team had a death-defying performance. Tiyang Amy and Tsong Joey, together with Hashtags Paulo Angeles and Ryle Santiago, and GirlTrends Miho Nishida and Maika Rivera, opened their number by dancing at the hallways of the ABS-CBN Studios. They did anti-gravity aerial dance routines with Anne performing a breathtaking dance routine with GirlTrends Dawn Chang and Krissha Viaje while hanging outside the ELJ Communications Center Tower, which eventually landed them the title as Magpasikat 2016 grand champions. Vice Ganda, Jugs Jugueta and Teddy Corpuz or “Team TVJ” created several optical illusions which have never been done on any live program. The trio also sang to the tune of their original composition. Their performance featured James Reid, Nadine Lustre, and Coco Martin. The team of Vice, Jugs, and Teddy were announced as the grand champions. Teddy Corpuz, Billy Crawford, and Jugs Jugueta (or Team TBJ) had an amusing, unconventional performance and created their own noontime variety show, “Whatchamacall8”. In their parody game show, one audience member was even able to take home 90,000 pesos. Nadine Lustre and James Reid were also featured in their performance. The team won the grand champion title for Magpasikat 2014. 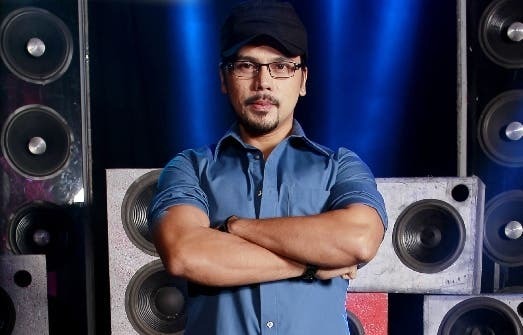 Karylle, Jugs Jugueta and Teddy Corpuz surprised everyone by seemingly singing in gibberish, but when the video of their performance was played in reverse, everyone realized that they performed the theme song of “It’s Showtime” and became the grand champions of Magpasikat that year. Jugs Jugueta and Teddy Corpuz entertained the crowd with their own version of Korean sensation, Psy’s “Gangnam Style” and created “Epal Ang ‘Yong Style” complete with their own lyrics with Bugoy Cariño and Cristine Reyes joining them in the funny production. Anne Curtis’ pole dancing and aerial silk production number wowed while singing Adele’s “Someone Like You” upside-down. She ended her performance with her now iconic version of Aerosmith’s “I Don’t Wanna Miss A Thing.”Anne Curtis’ death defying stunt made her the grand champion for 2011. Magpasikat 2010 at once proved that a Magpasikat tradition would come, thanks to its stand out performances. Band brothers Teddy Corpuz of Rocksteddy and Jugs Jugueta of Itchyworms rocked with OPM band favorites Yeng Constantino, Tutti Caringal of 6CycleMind, Marc Abaya of Kjwan and Kean Cipriano of Callalily, while Teddy impersonated Pinoy rock icon Bamboo Mañalac. The performance hyped up the crowd with an intensity Teddy and Jugs won the very first edition of the contest. For 2018, whose team will reign supreme? Gear up and get ready to be entertained with this year’s ensemble of unique production numbers. Catch the upcoming presentations that’s sure to carve a place in “Magpasikat” history in “It’s Showtime” anytime, anywhere via livestream on iWant TV for FREE.